Some things are better “said”, even if it is late in the day. Saw the reportedly atrocious “Aiyya” the other day and was astounded by the sheer gut of the filmmaker of actually extending one of his short stories from another of his acclaimed Marathi movie, titled “Gandh” to such disastrous effects. I mean, some stories, look and feel nice in a duration appropriate to its content and flow. More so, when you have seen the gist in an aptly timed short piece. And here he is, extending and extrapolating that in manifold directions, charting the unforeseen yet completely unwanted zany side of its main protagonist and her family , in a never before seen weirdo setting. Unreal,unfunny and gets highly on your nerves. May be he just wanted to justify the lusty smell that drives the whole of the movie through an equally unfathomable environment. But there lies the whole point of failure if you ask me. I mean, I can totally relate to a day dreamer, living in and out of the world seen through her rose-tinted glasses. I feel the subtlety is gone when you actually show her wearing such glasses in each dream sequence! I can possibly feel the lust of a smell so overpowering, one falls hook, line and sinker. Well, what’s the point of setting up such an innovative portrayal of love through the wacky characters that pop in and out of each frame just for the heck of it, you actually cringe about the whole thought of smell as a propeller of lust and probably love. Trust me, when I had seen the original Marathi flick by the same director, it was full of intrigue, subtle indications leading to an ominous climax. Sadly, with brilliant actors like Rani Mukherjee and the illustrious talent that Anurag Kashyap is, Aiyya was really , if you ask me, smelling of rotten fish. Nevertheless, my intrigue with the whole idea of smell driving one’s life took me to the pen and here’s my take on the theme of Aiyya .. 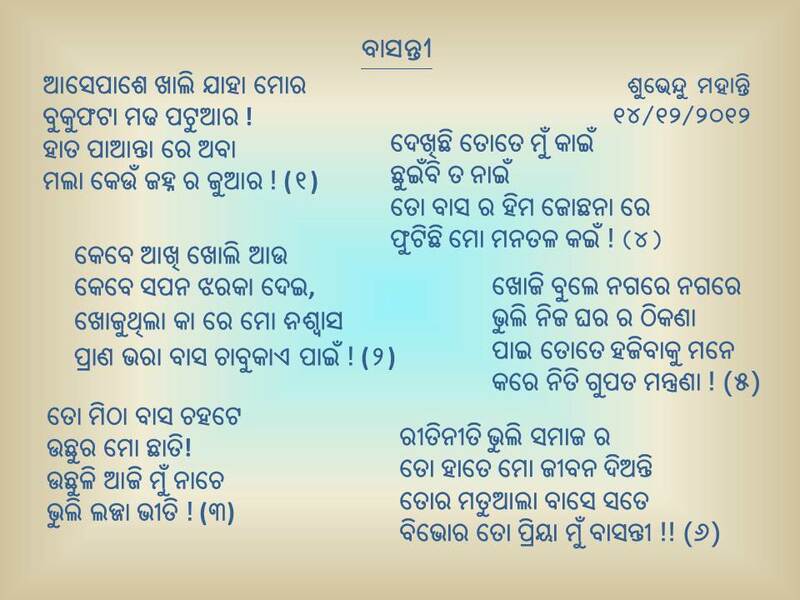 Apologies, in Odia..